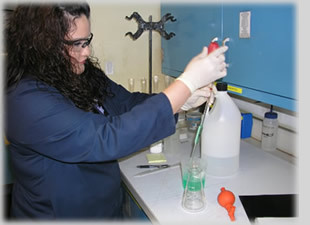 Our in-house laboratory and testing processes combined, maintain and support our commitment to quality. Our end products are tested by up to date and continuously calibrated equipment to ensure precision metal finishes. In addition, we are in compliance with industry specifications (Nadcap Approved) as a result of our continuous and consistent testing methods. Precious Metals Plating Company strives to deliver precision plating services, with competitive prices, and on-schedule turnaround, and ; thereby meeting Customer demands and requirements. The quality of the finished product is evidenced by our ability to maintain Customer satisfaction, Nadcap accreditation, and Boeing approvals. It is our policy and commitment to continuously review our processes, train employees, upgrade and maintain equipment, eliminate non-essential practices and create an environment of total quality consciousness. This policy is carried out and implemented throughout all levels of the organization. We are committed to providing the highest quality service while delivering the best value to our Customer. Note: These processes are pending Nadcap Approval. Please contact Our Quality Control Manager at Jeff@pmplating.com for more information.